Schools can make best practices the norm in every classroom using five strategies to strengthen fidelity of implementation. Moving beyond the sit-and-get workshop model, most educators will agree that we all learn best through a hands-on approach. Istation’s strategic professional development planners offer a variety of customizable training sessions designed to address customers’ current needs. Istation’s guidance and insight into proven educational approaches and best practices help schools drive adoption, boost implementation, and optimize usage. Istation’s Indicators of Progress (ISIP™) assessment takes only 30 minutes to evaluate an entire class’s progress, providing real-time data that teachers can immediately use to inform instructional decisions. 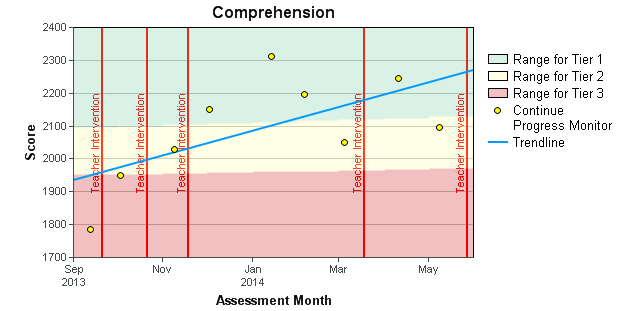 It can be motivating to have students track their own ISIP progress each month using charts. 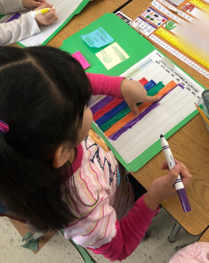 Kindergarten students (pictured above) track their monthly ISIP growth on individual graphs. Celebrating growth with students, classroom teachers, or even across grade levels can have a huge impact for everyone involved. 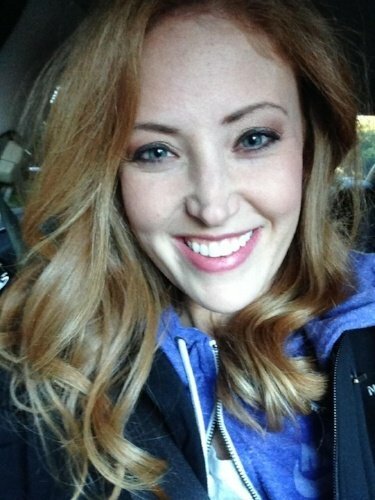 There is power in positive reinforcement! Motivate students and teachers with incentives that they find meaningful. Possible rewards include wearing an Istation red cape for a day, printable certificates to take home, and parties for classrooms with the highest growth. Istation provides over 4,000 fully scripted TDLs which can be used to deliver interventions. Documenting the time spent with struggling students helps identify correlations between interventions and growth. 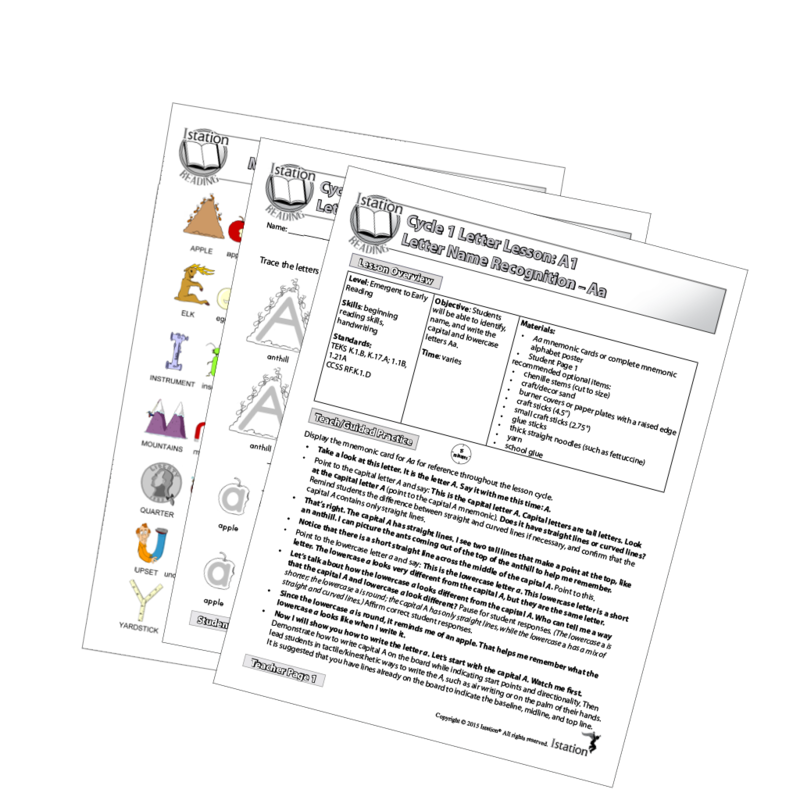 Priority Reports group students by skill deficits, provide intervention lessons, and allow notes to be made after an intervention lesson has been delivered. Documentation can provide a reliable foundation for parent-teacher conferences and meetings with school administrators. The red lines on this chart represent teacher interventions. DeAn Jeffrey, former principal at Bells Elementary School in Texas, discovered that these five strategies were the secret Bells needed to go from a good school to a great school. In just one year, she was able to significantly reduce the number of students in Tier 3 and get them ready for end-of-year exams. 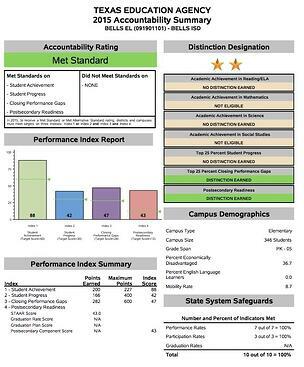 When Texas released its accountability ratings at the end of the year, Bells Elementary had improved from a two-star distinction to a six-star distinction. 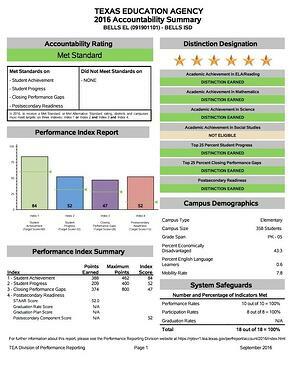 Bells Elementary could proudly say that their students’ high achievement on the end of year state assessment placed them in the top 5% of ALL campuses! Bells educators were overjoyed at what their students had accomplished in such a short time. Strengthening their fidelity of implementation had made all the difference! “It is all about how reading is the most important life skill we teach in school, and more of our students than ever were reading at or above grade level,” Jeffrey said. Watch the recording where Jeffrey and Istation Professional Development Specialist Ginger Brawley discuss how they ensured fidelity of implementation at Bells Elementary!